You are looking for amazing ideas for your wedding day. You are a unique couple and you want to show that to your friends and family. You are considering your wedding in a hot air balloon. Arizona Hot Air Balloons understands this is a special day and all the details need to fall into line. Our eager staff can answer all of your questions and concerns about your AZ balloon ride wedding. We will help guide you though your itinerary for your wedding with us. Our long tenure staff knows the ins and outs of ballooning and can guide you through the detail of your wedding in a hot air balloon with us. 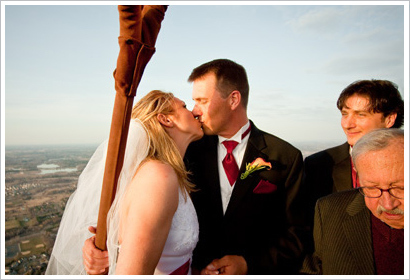 We have years of experience when it comes to getting married in a hot air balloon. We are here to help! Our promise to you is that we will make any and all accommodations needed for your very special day. We will work though the details, with the safety of your adventure along and we can put that special touch on the day. In order to make the most memorable day in your life. We know this is a lifelong commitment. 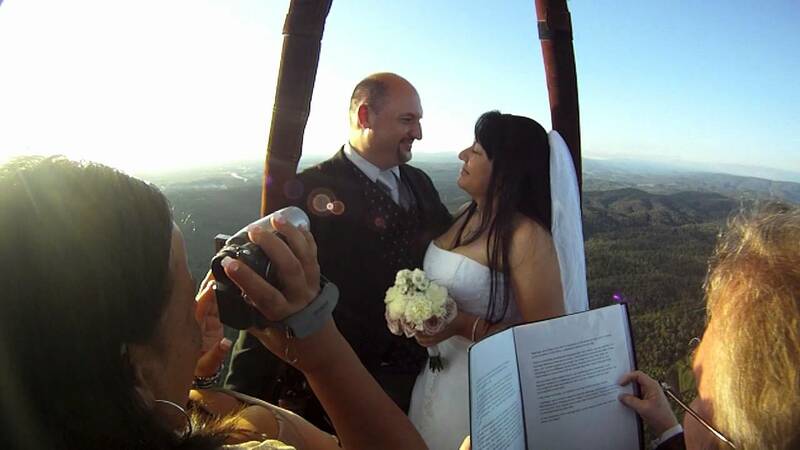 Understand that when you book your AZ balloon ride wedding with us, we will not let a single detail slide. 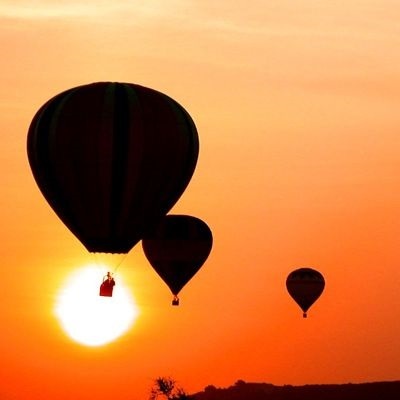 Seal the deal on a AZ balloon ride wedding with Arizona Hot Air Balloons. Imagine you and your love can get married on the ground with the balloon as your backdrop sharing your vows in front of family and friends then lift off to view the beauty of the Sonoran Desert for a wonderful flight landing softly upon mother earth. To begin the rest of your lives together or we can lift off into the skies with your wedding party and begin having your ceremony in the air. After your ceremony you can enjoy a traditional champagne toast and your personalized post flight ceremony with friends and family at the landing site. Come out and join us for your wedding balloon ride in AZ. The sun will set that day, however your love never will. We look forward to sharing this once and a lifetime experience with you, one that you will truly never forget. So unique and original, you will come back with some amazing hot air balloon photos and a memory of a lifetime! Call our friendly staff and we will be happy to add that extra touch for your very special day with Arizona Hot Air Balloons. You can also fill out our small Phoenix Arizona Balloon Ride inquiry form to initiate your balloon ride over AZ.